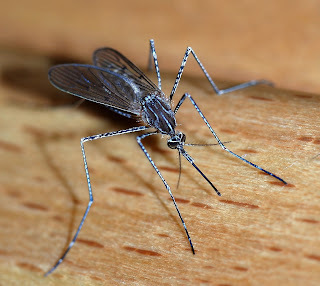 Zika virus disease is caused by a virus transmitted by Aedes mosquitoes [The ones that bite during the day and carry an array of “return gifts” including dengue, yellow fever, chikungunya, etc.]. People with Zika virus disease usually have symptoms that can include mild fever, skin rashes, conjunctivitis, muscle and joint pain, malaise or headache. These symptoms normally last for 2-7 days. The virus is cleared from the system one to two weeks after infection. It was First identified in 1947 in Uganda. As I write this I fried several dozens of mosquitoes with my electric-net bat. I am sure I could give tennis, badminton and fencing Olympic champions a run for their money with my fancy moves with the mosquito-killing bat. The personal aside, mosquito-vector born diseases are a serious threat to public health the world over just by the sheer ubiquity of the mosquitoes. Brazil under the shadow of the Zika virus threat when it is set to host its first Olympics is similarly plagued. There is no preventive measure or cure for the Zika virus yet other than trying to avoid getting bitten by the infected mosquito. Which is easier said than done! Many of the Olympics international contingents and their ticket-buying fans come into the at-risk category to Zika virus complications, i.e., child-bearing age women who if pregnant during the infection phase could give birth to children with microcephaly (having an unusually small head), although experts are yet to establish a direct link between the infection and the disability and there have been mentions that this could be a regional phenomena. But beyond this there is the risk of ill-health during the Olympics and future neurological complications such as the Guillain-Barré syndrome (GBS) which is a major health and lifestyle risk for all athletes and their fans! No wonder the high-earning top golfers and tennis players are pulling out of their national teams and deciding to skip the Olympics. Unlike less-popular sports for which this is the biggest and most prestigious arena and showcase, the Olympics is not a huge money-spinner for the tennis stars and golfers who have packed schedules across the globe. While Rio and Brazil have come through the Carnival period with no unusual international outbreak of the Zika virus, calls remain to put off the Olympics although preparations are on all over to send national contingents to South America, with India sending its largest ever team. After all this Zika outbreak has put 2 billion people at risk of contracting the virus – a worrying figure even though most adults recover it after a rash or a fever with only rare cases of the virus causing severe neurological diseases. News headlines read that a flu outbreak would be a more worrying problem than Zika during the Olympics. The Olympics and other such international events are used as stage by the State to showcase itself and by non-state actors to showcase their problems by protesting at the venues. In the case of the Zika virus at the time of the Rio Olympics and added dimension is highlighting the hurdles to women’s health in Brazil. While the scientists at biotechnology and pharmaceutical giants (in UK, USA, France, Brazil, India, and Austria, whose stocks soar following announcements of possible cures) are hard at work to finding a cure for Zika virus disease (Research is on to defeat the Aedes mosquito with sterile genetically modified ones or by infecting the deadly mosquito with a bacteria that’s deadly to it – the sterilizing Wolbachia.) amidst producing accurate diagnostic kits the South American states meanwhile have placed the burden of preventing public health and socioeconomic crises on women. According Brazil’s health ministry January 2016 report, 3,893 cases of microcephaly have been recorded since 2015 with the state of Pernambuco accounting about a third of that. An alarming statistic considering that in 2014 there were only 150 cases across the whole of Brazil! The response to tackle this has included a health advisory to Latin American women not to get pregnant, Colombia’s condom-distribution campaigns targeting women, and El Salvador’s attempt to discourage all new pregnancies until some magical date in 2018. All this keep in mind happening in a Catholic-majority region where abortion mostly considered a sin or a crime with harsh sentences for the pregnant women who opt for it. Add to this the high cost of birth control and the lack of access to modern methods of birth control or even basic healthcare in remote regions with at-risk indigenous populations living next to stagnant fresh water (breeding grounds for mosquitoes) and the problem intensifies. Thus the Zika outbreak is at least raising awareness on the plight of women’s health in the region and opening up dialogue about women’s rights over their own bodies. Perhaps a little of the funds generated out of the Olympics will go toward private or public initiatives to improve the quality of these women’s lives. While the state is carrying out an impressive effort in the face of its precarious economy and the fact that about 85% of mosquito breeding sites are inside people’s homes perhaps this outbreak will also change people’s attitude and policies regarding women’s health, women’s rights, access to healthcare, disposal of garbage and care for the environment! For the “Darth Nino” that cause record-breaking temperatures and extreme weather across the globe also had a role to play in adding to mosquito-breeding puddles in a region that had eliminated the Aedes invasion with a thorough DDT programme way back in the 1970s. So perhaps in the midst of this threat to Latin American and world health and the burden the complications of this outbreak could pose on the future economy perhaps there is a window of opportunity to challenge patriarchal notions, improve the status of women and healthcare as well as improve policies towards the environment.